Ocelots, nocturnal cats that can weigh up to 30 pounds, have been nearly wiped out in the U.S., with just 100 or so still living in the wild. How did a pro baseball pitcher (Josh Beckett of the L.A. Dodgers), ocelots and a natural gas pipeline builder make it into the same news headline? They’re all part of a lawsuit filed by Beckett after the company used eminent domain to clear land on his 7,000-acre hunting ranch in south Texas. Beckett alleges the company, Eagle Ford Midstream, violated the Endangered Species Act by clearing land that was habitat for the ocelot, of which only 100 are thought to be left in the wild in the U.S.
On Wednesday, two Beckett companies filed a restraining order against Eagle Ford from continuing work inside the ranch. That followed a lawsuit filed Tuesday that states "multiple big cat tracks" were photographed there as recently as June and that Beckett saw ocelots as recently as last November, MySanAntonio.com reported. Eagle Ford engaged in "willful destruction" by clearing land after a notice of intent to sue was filed in August, according to the lawsuit by Beckett Ventures Inc and Hall of Fame Land Ventures LP. Beckett also claimed Eagle Ford was urged to choose a shorter, direct path rather than the diagonal swath that was cleared. Ocelots are protected in Texas and at the federal level. A company found to have destroyed habitat could face fines and be forced to do mitigation work. Eagle Ford did not immediately respond to NBC News' request for comment, but it filed a response with the court Wednesday, arguing that hunting on the ranch posed a greater threat than their pipeline. Beckett owns the Herradura Ranch in LaSalle County and runs a hunting lodge out of the premises. "The Herradura has offered superb dove, quail and trophy whitetail (deer) for over a decade," its website states. Eagle Ford, in its court response, alleged that "the protection of the ocelot was merely a sham to leverage additional money from (Eagle Ford) in exchange for an easement." A state court earlier this month denied Beckett's similar request to halt the project, the company added. 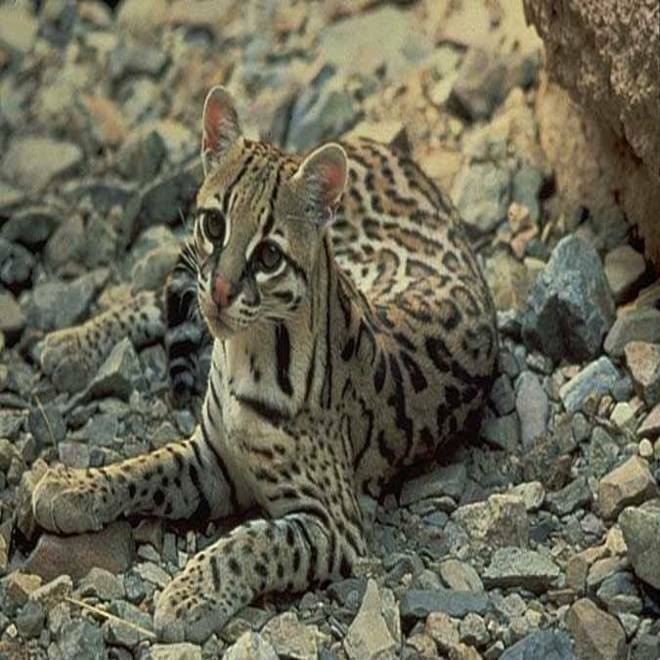 Eagle Ford's environmental consultant earlier determined the land "does not exhibit the necessary density, coverage or structure generally described for potential ocelot habitat," adding that the nearest known population of ocelots was 120 miles away in Kenedy County. Based on that information, the U.S. Fish and Wildlife Service determined no further action was required. Nocturnal wild cats that can weigh up to 30 pounds, ocelots prefer dense shrub habitat. While abundant in Central and South America, ocelots in the U.S. have been reduced to an estimated 100 in Texas and Arizona. Other problems facing the Texas and Arizona population, the service added, include inbreeding, border fences separating the natural range that goes into Mexico, and ocelots becoming roadkill.